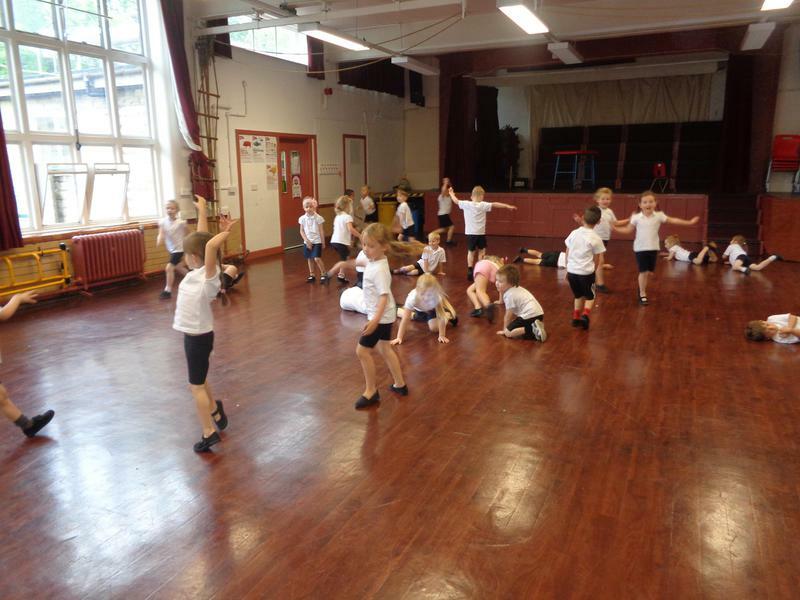 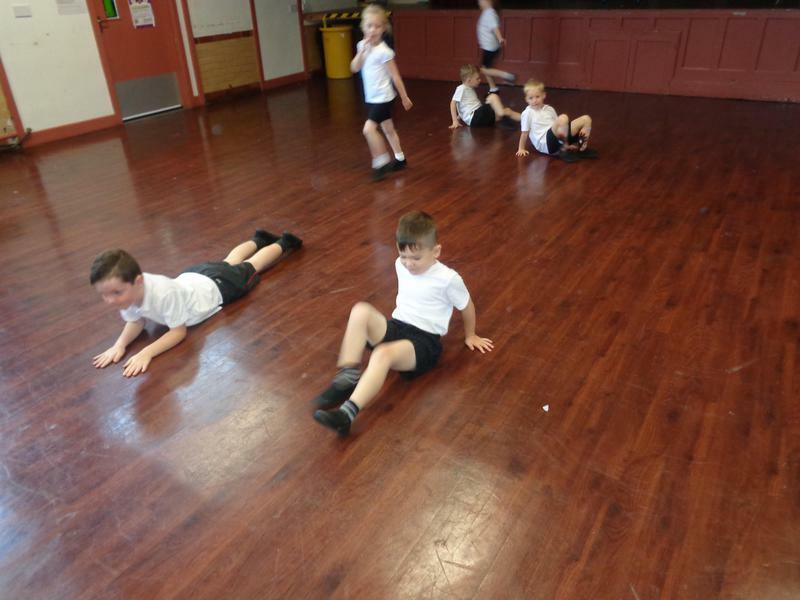 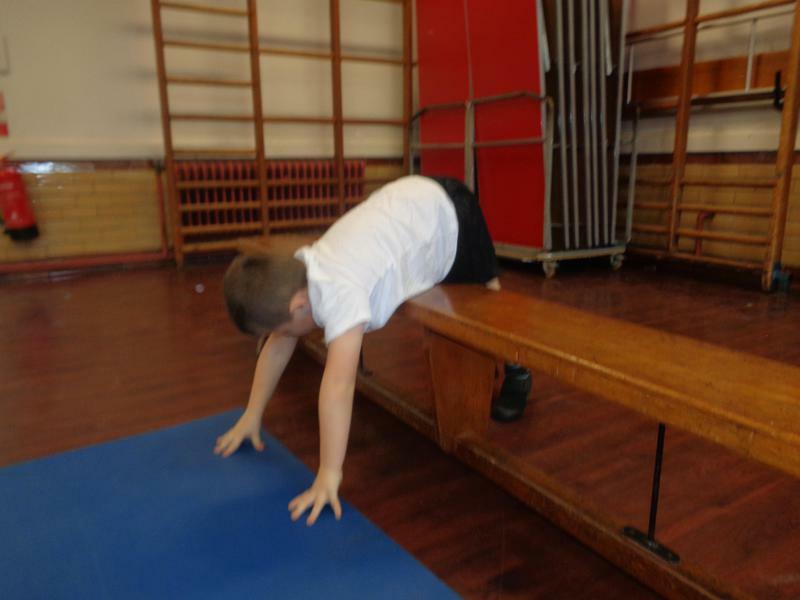 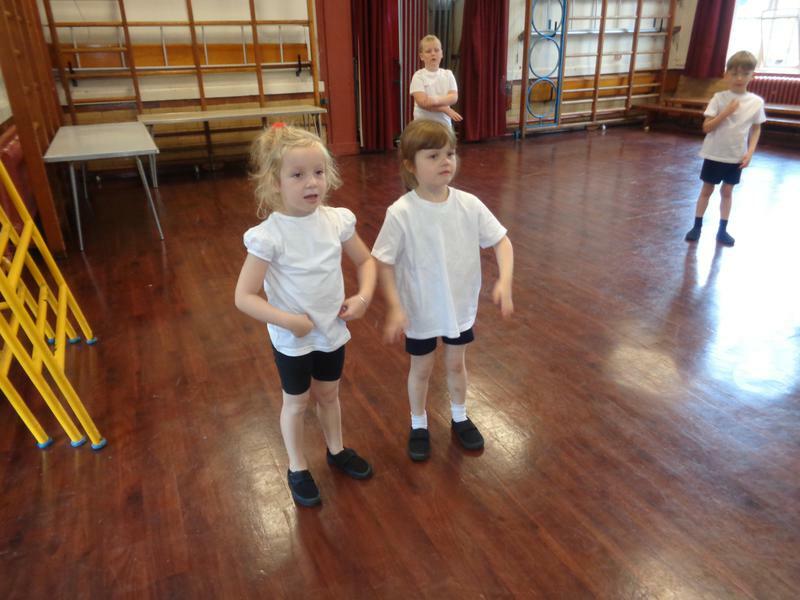 We understand that we have to warm up our bodies before we start our PE lessons. 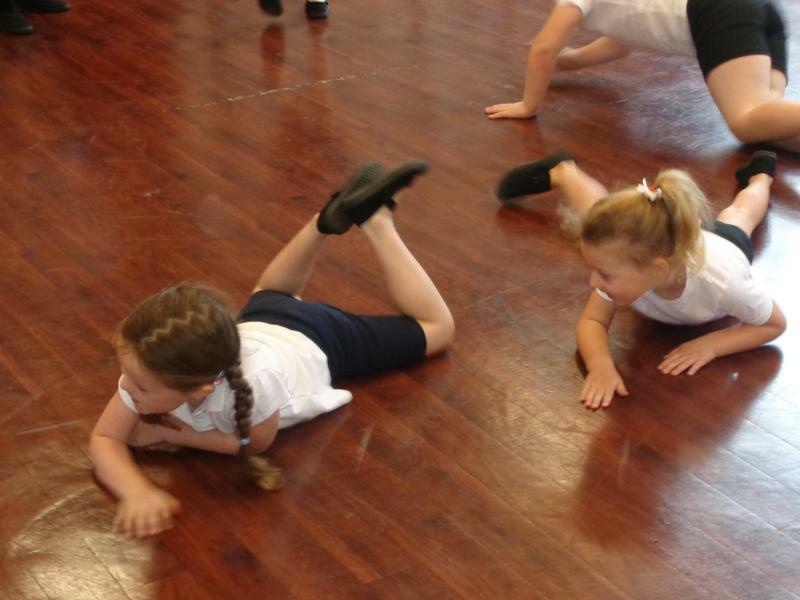 We do stretches and warm up exercises to make sure we don't hurt our muscles. 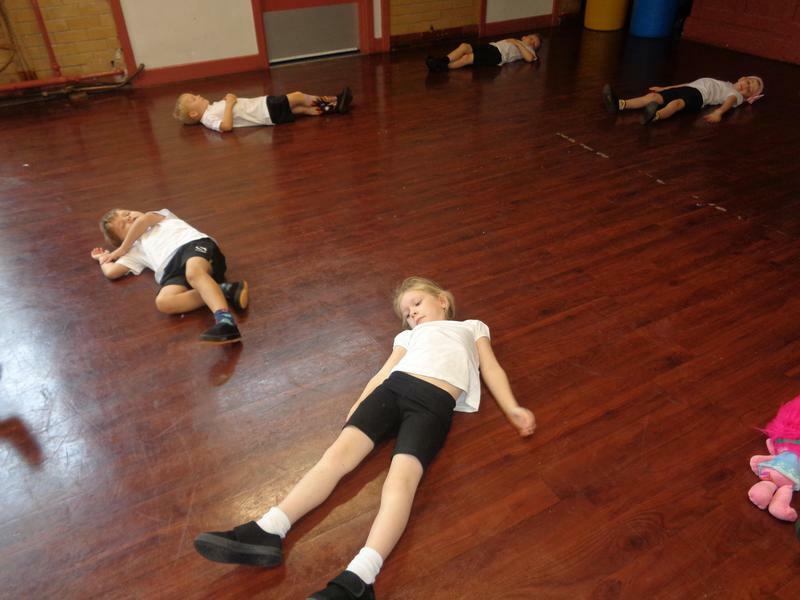 We cool down slowly for the same reason. 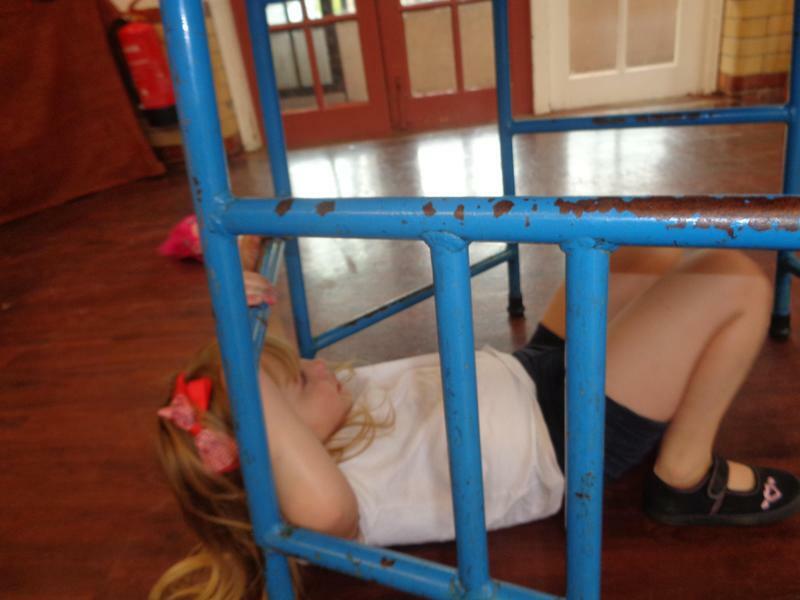 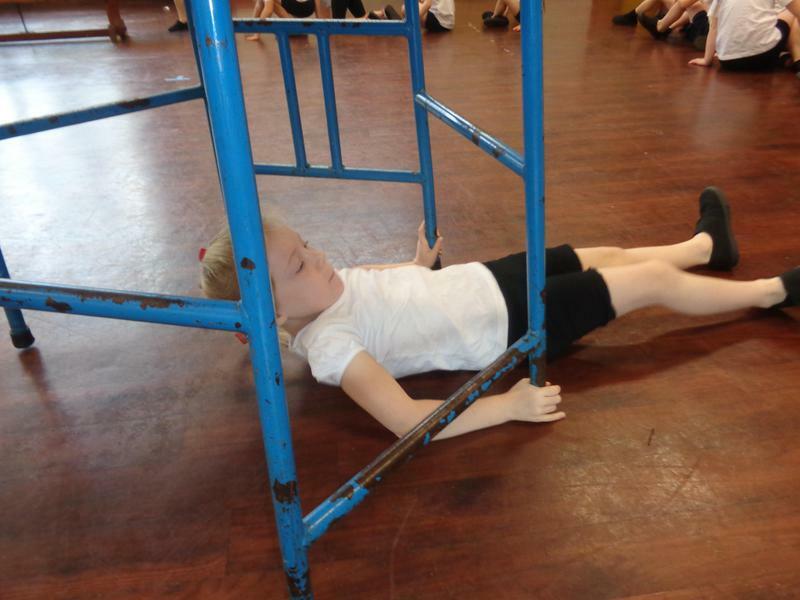 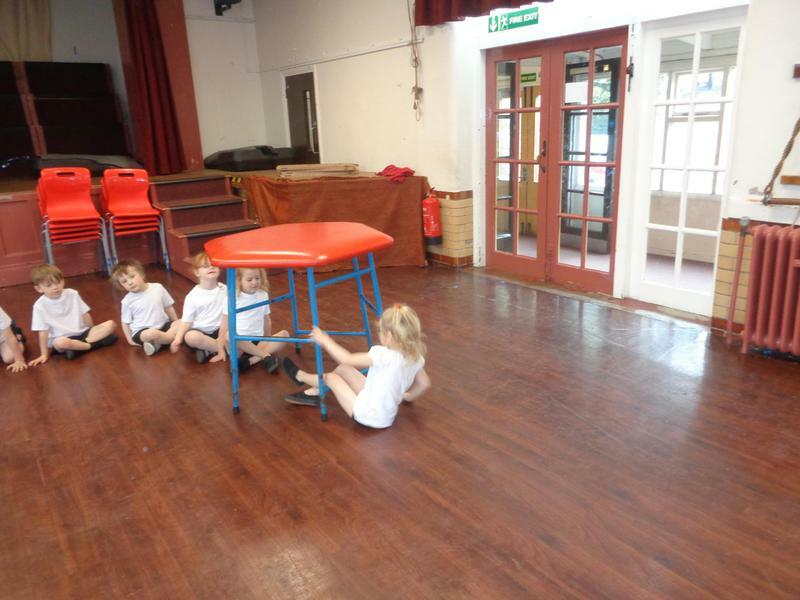 We have been learning about making different shapes with our bodies and moving in different ways. 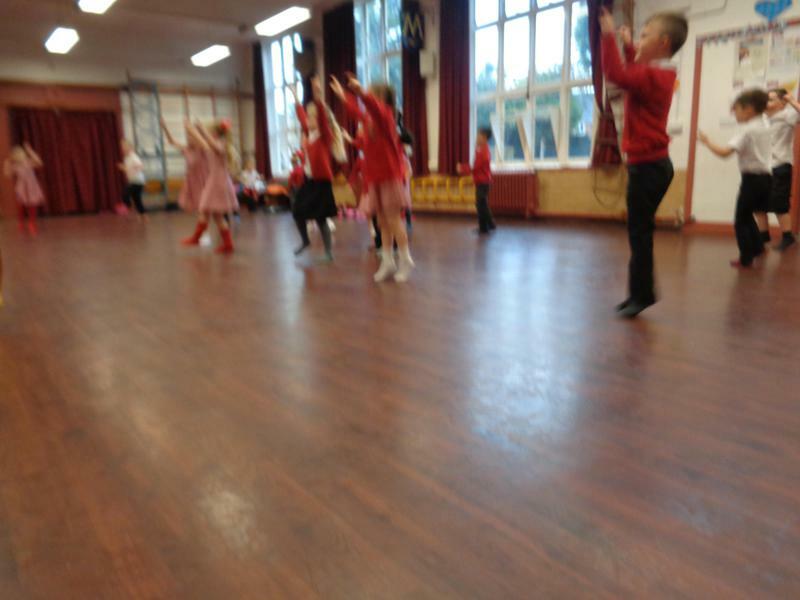 We moved while making tall shapes and while making short shapes. 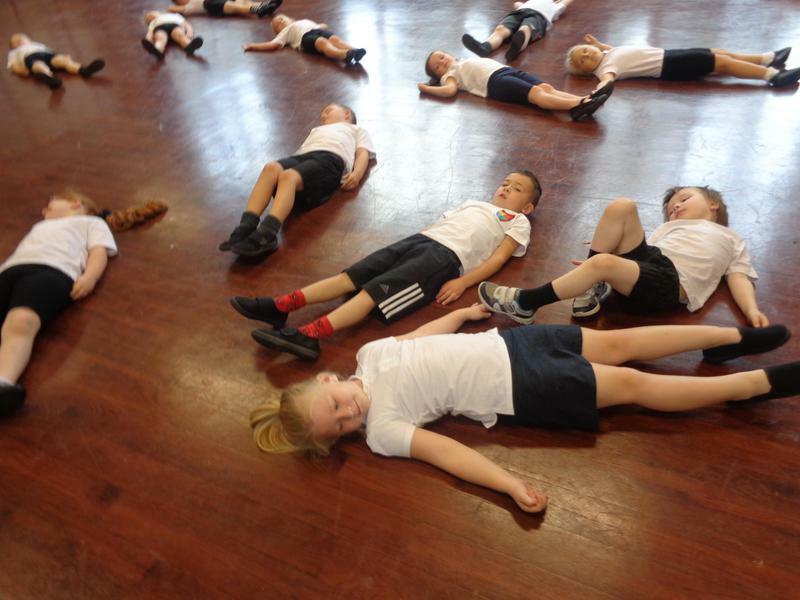 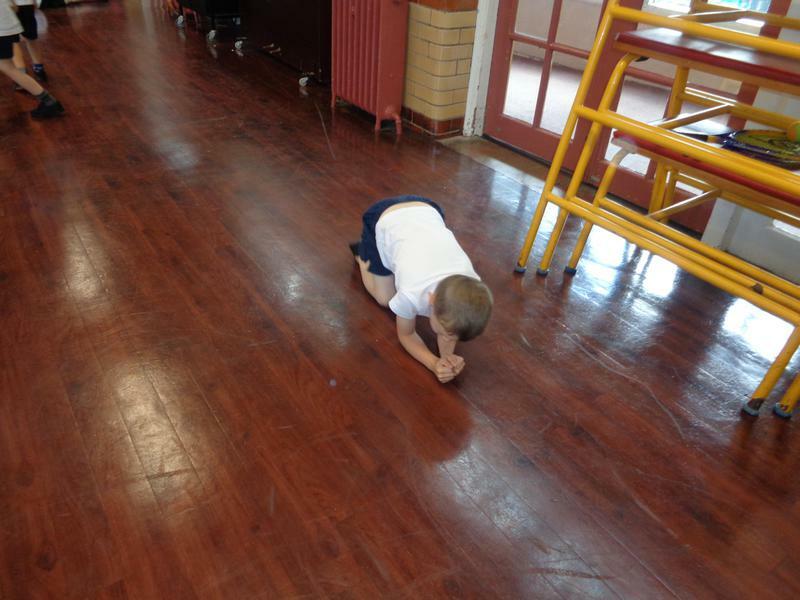 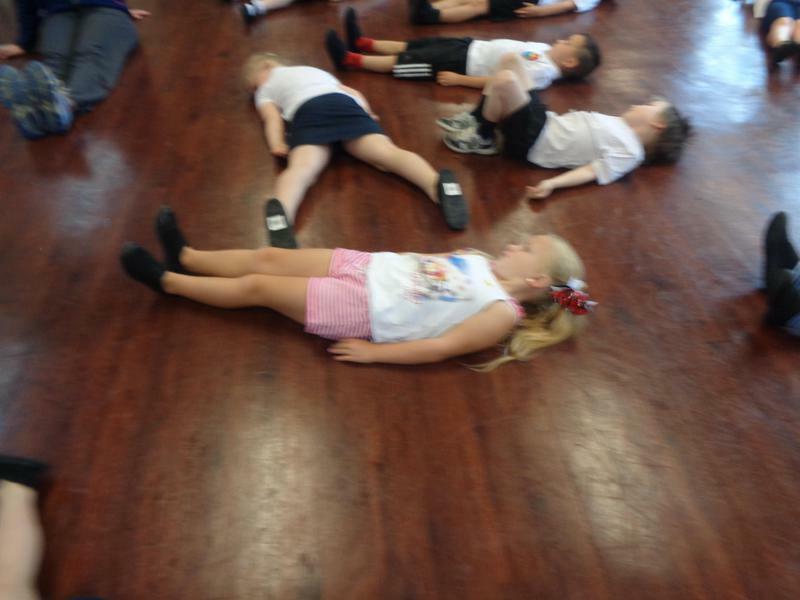 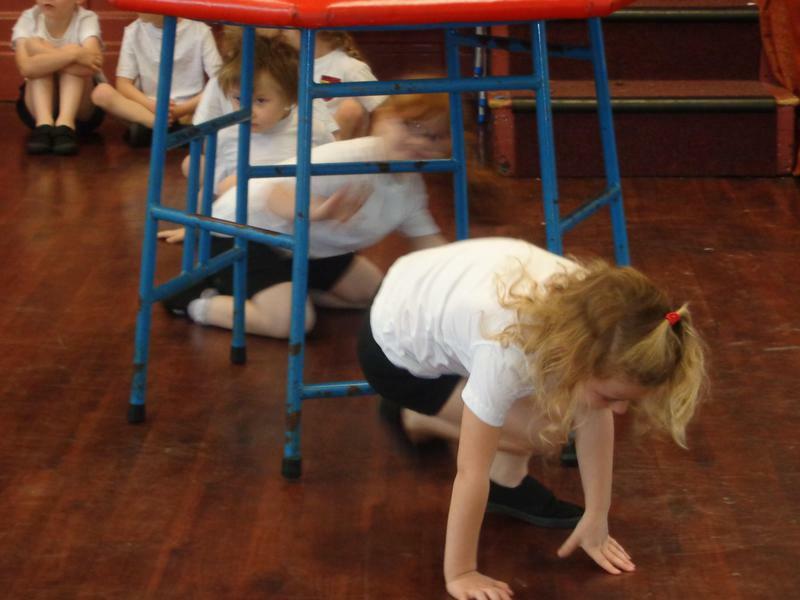 We made different shapes with our bodies while using different points of contact with the floor. 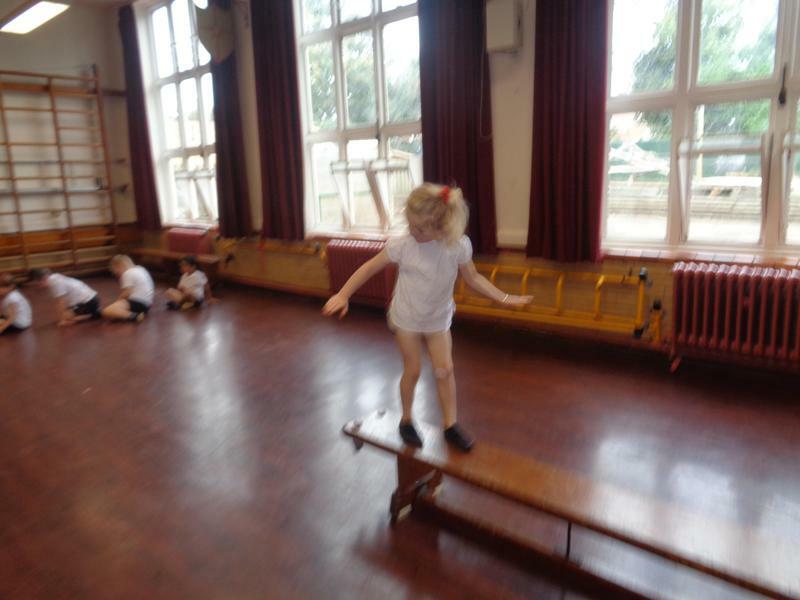 It was hard to balance with some shapes! 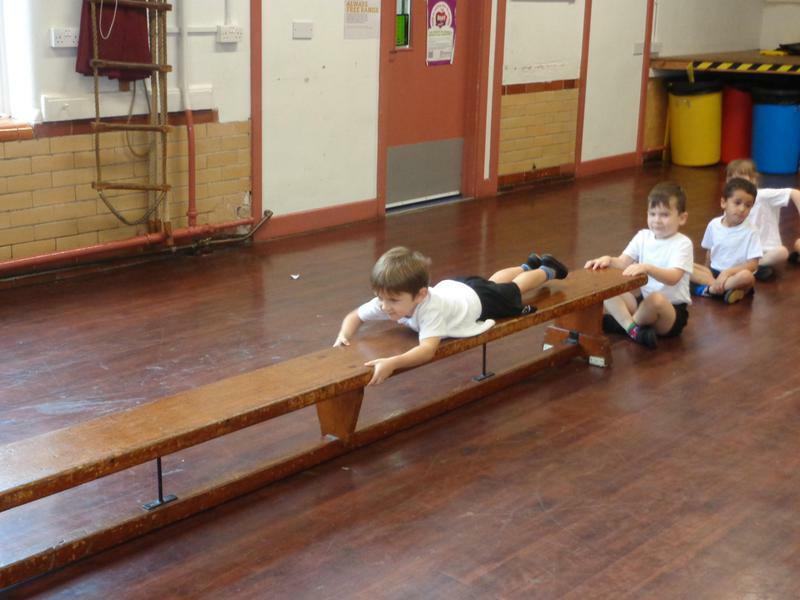 We travelled across, over and under different equipment. 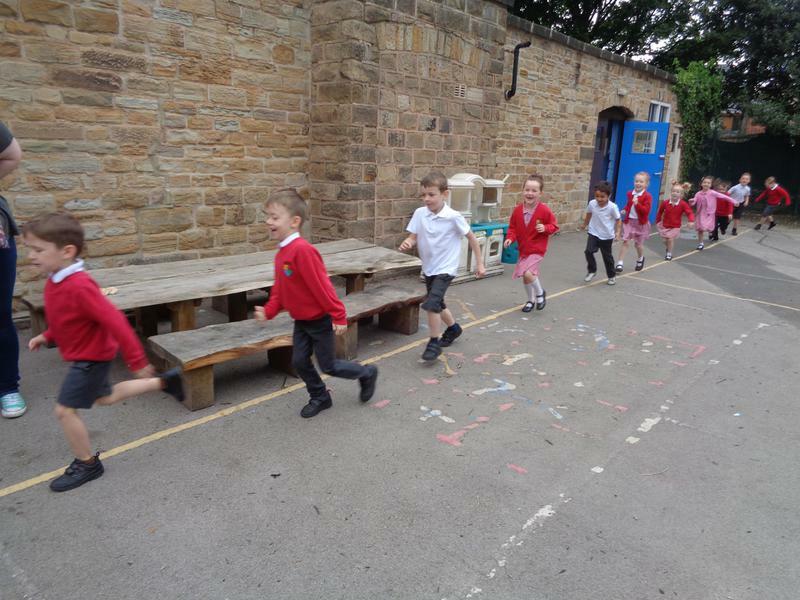 We tried to find lots of different ways of travelling and using our bodies by making tall and short shapes. 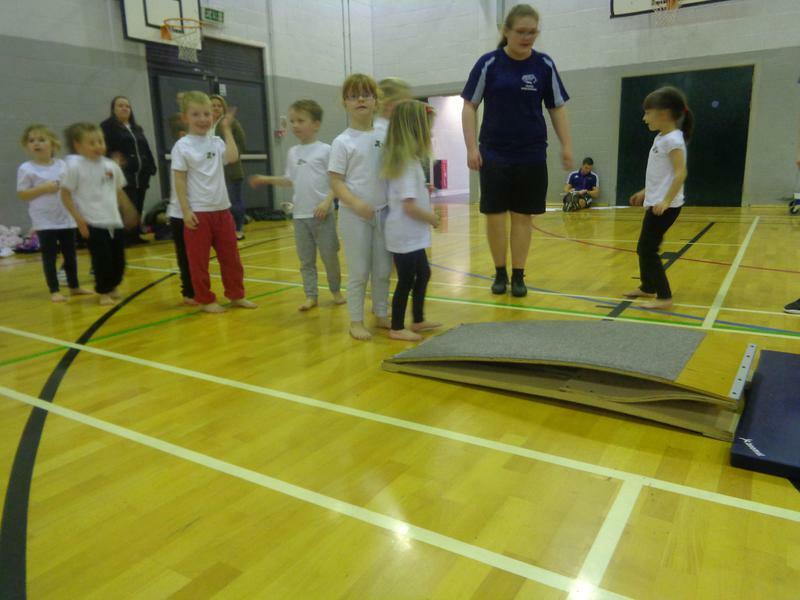 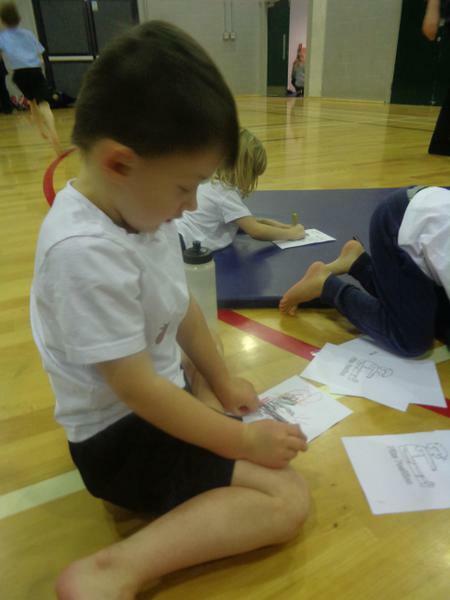 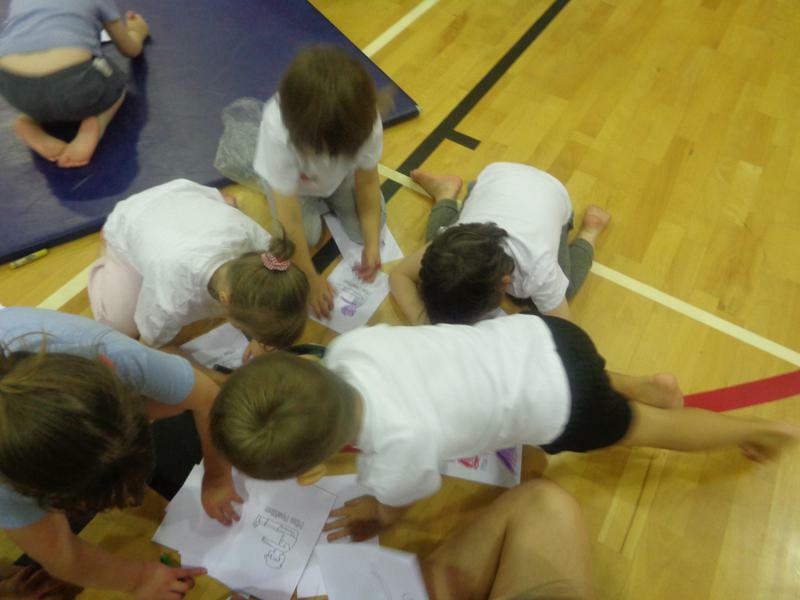 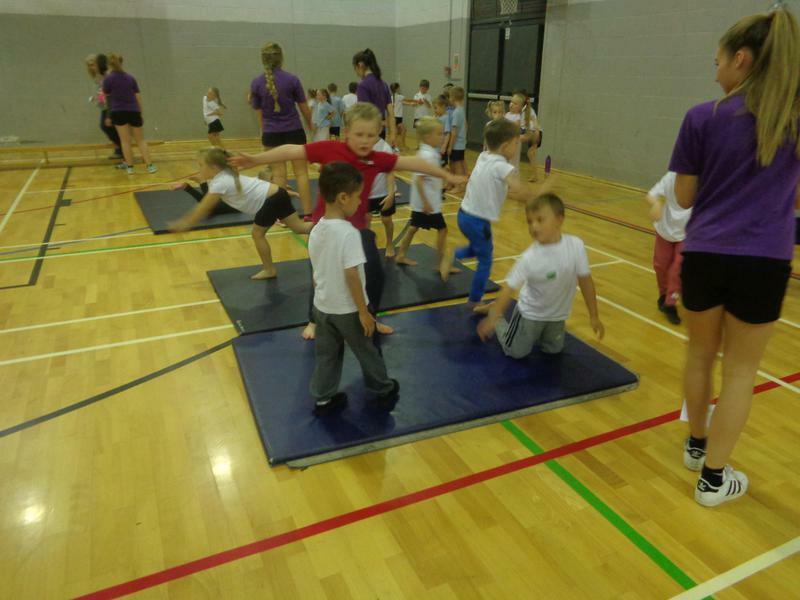 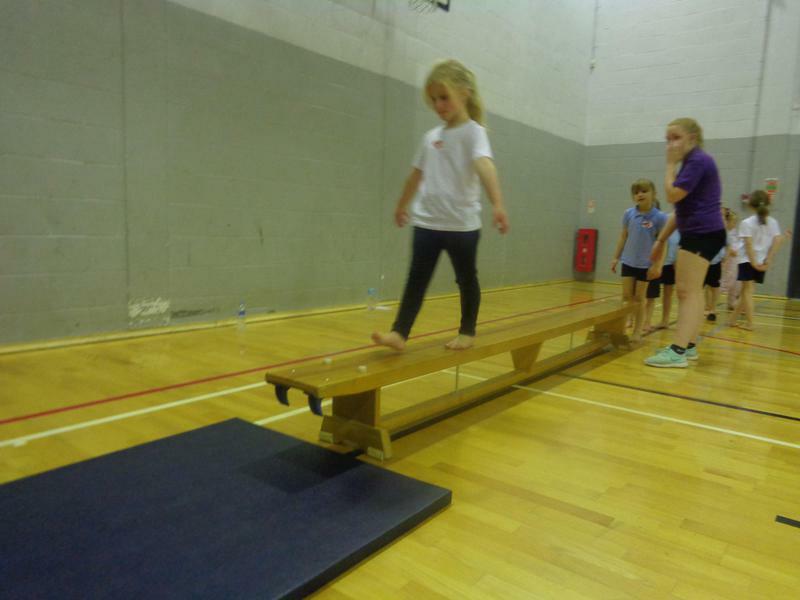 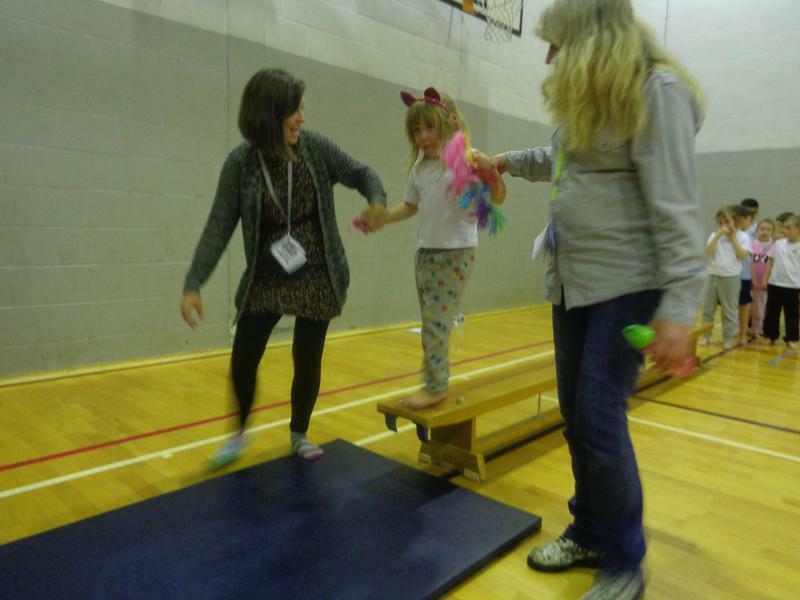 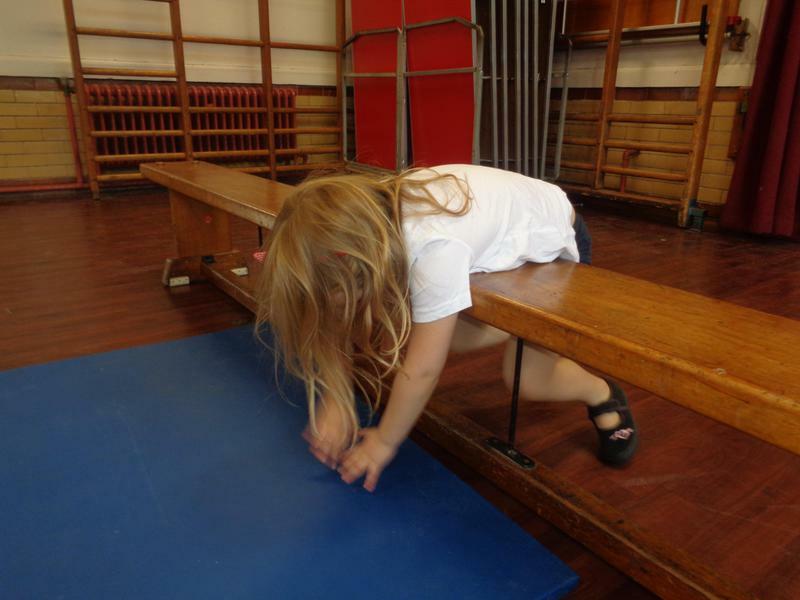 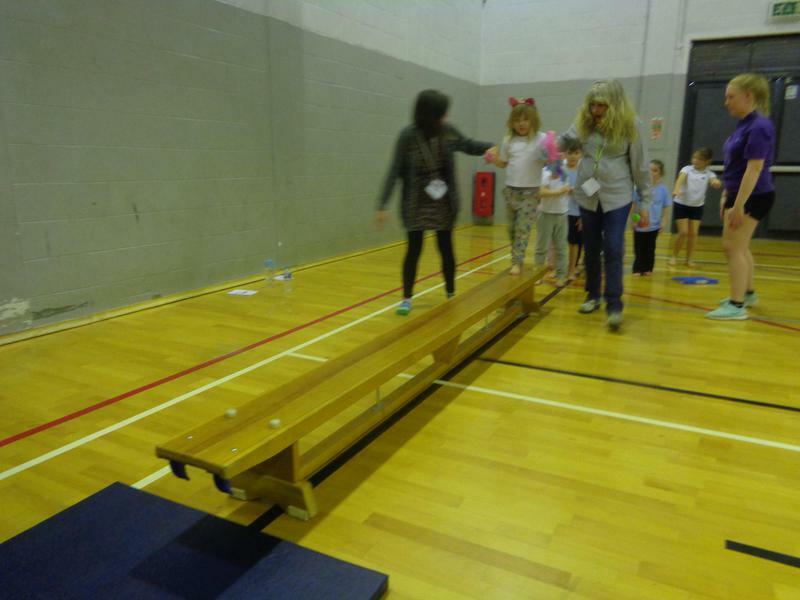 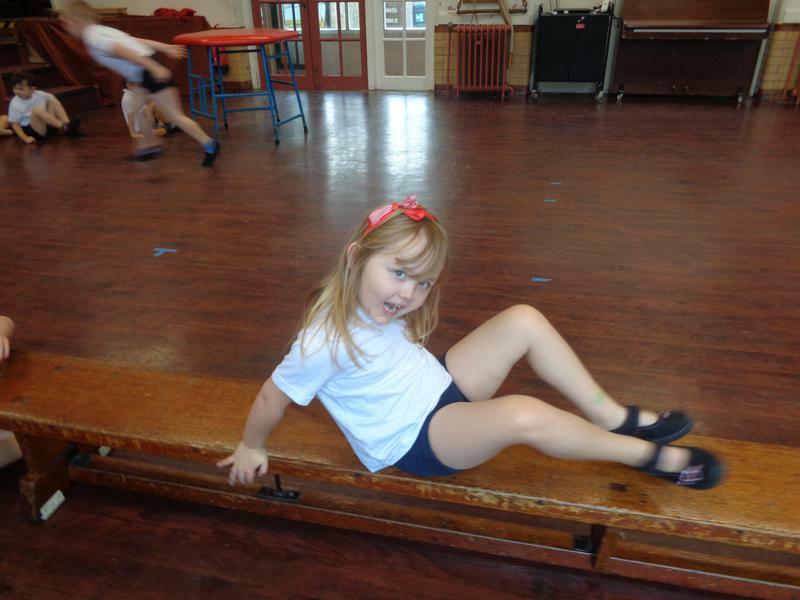 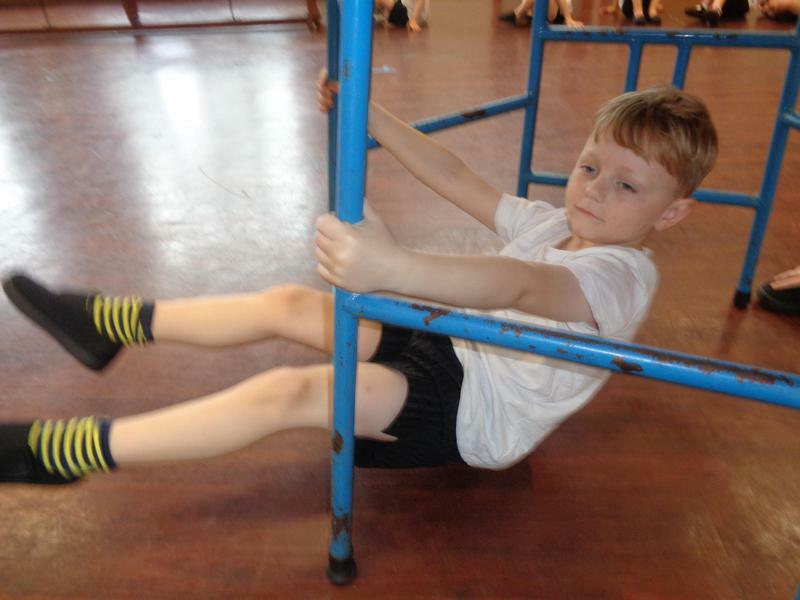 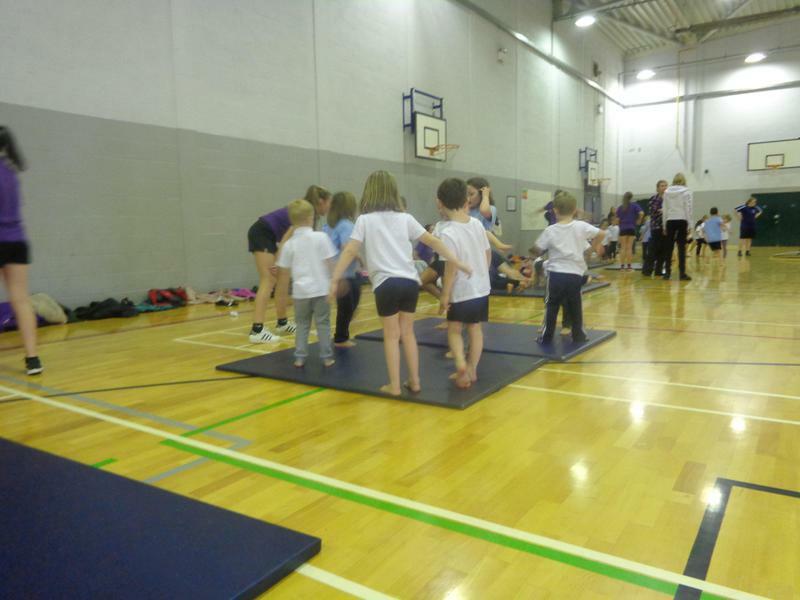 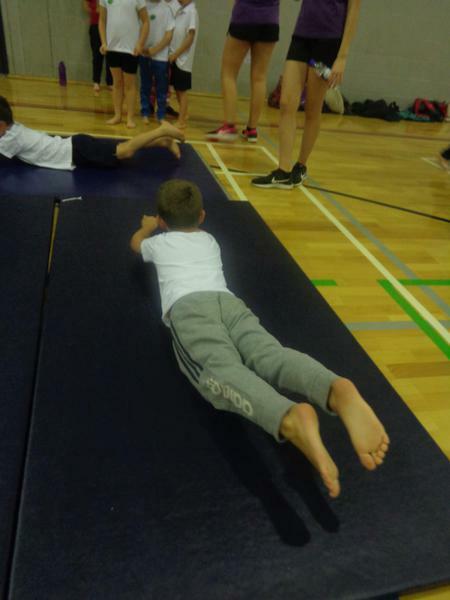 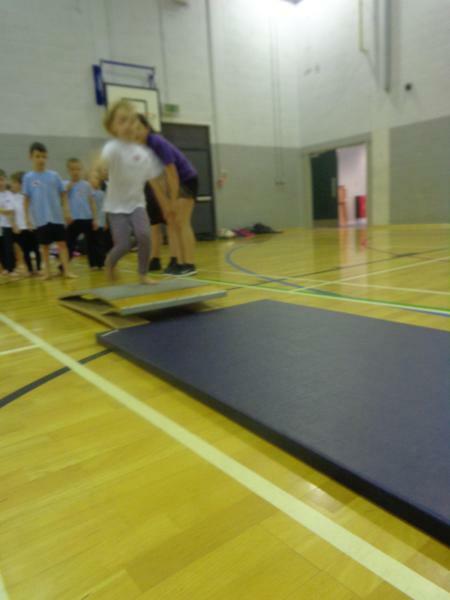 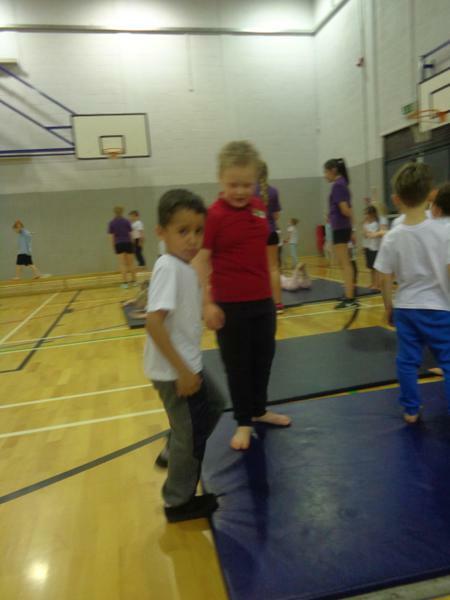 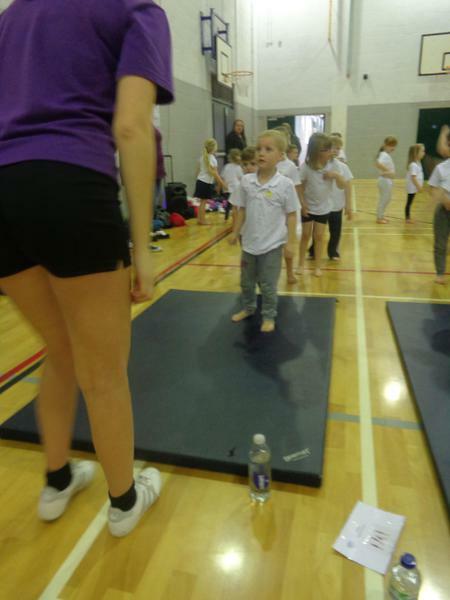 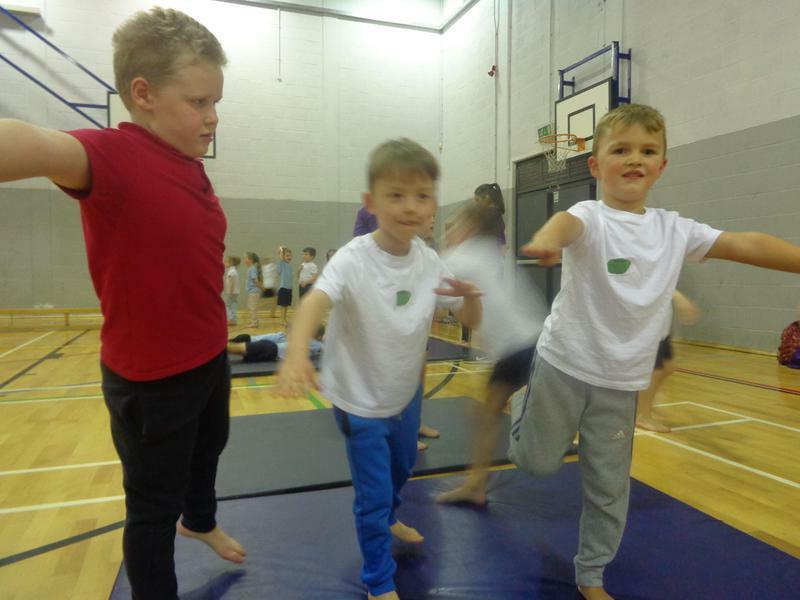 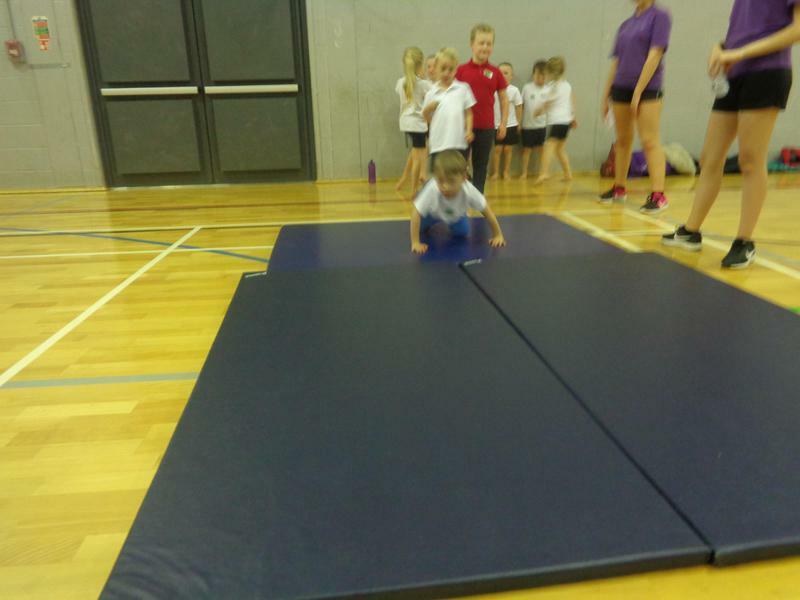 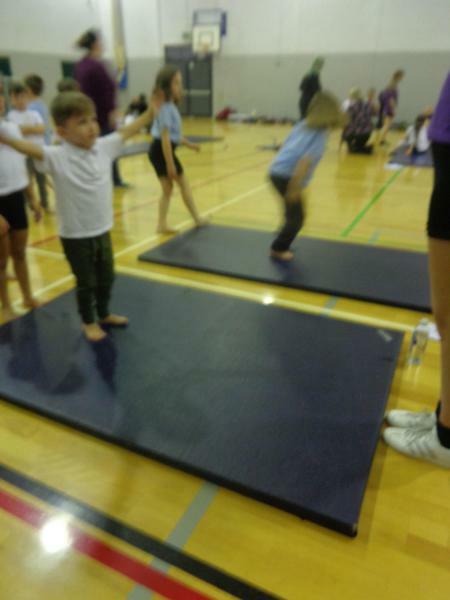 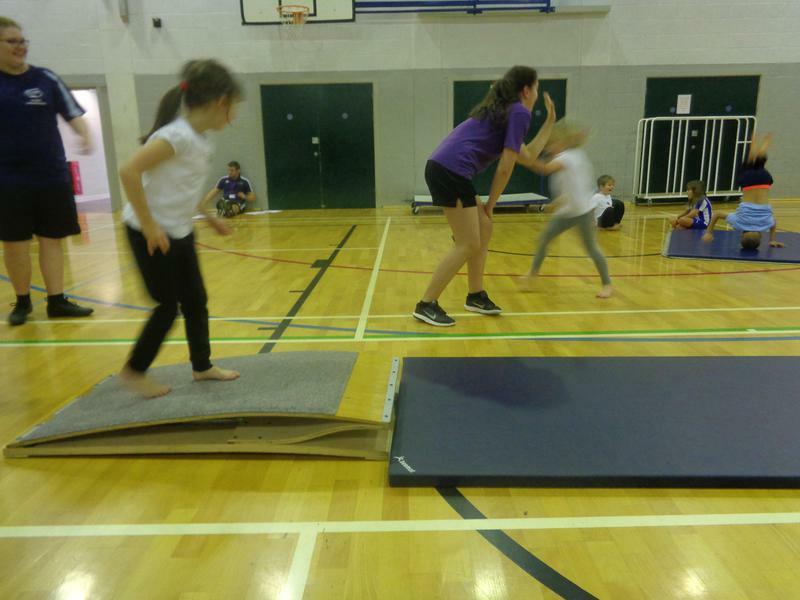 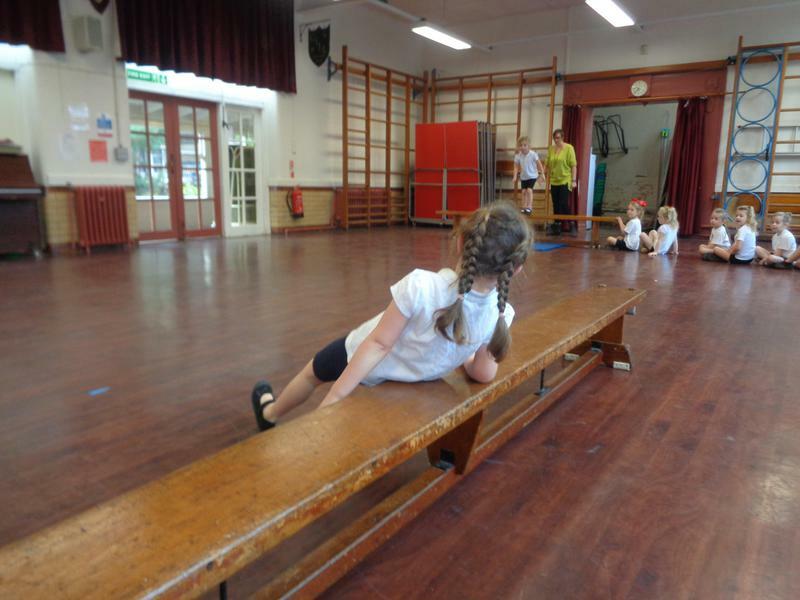 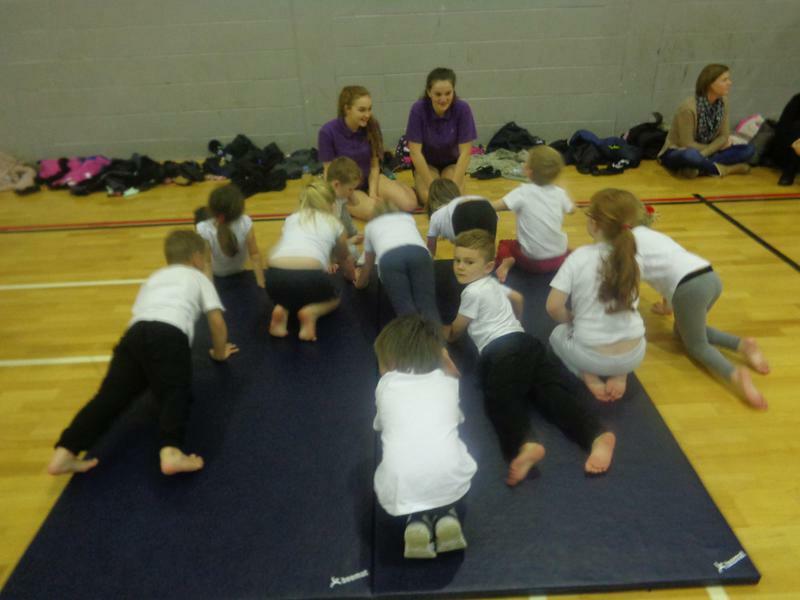 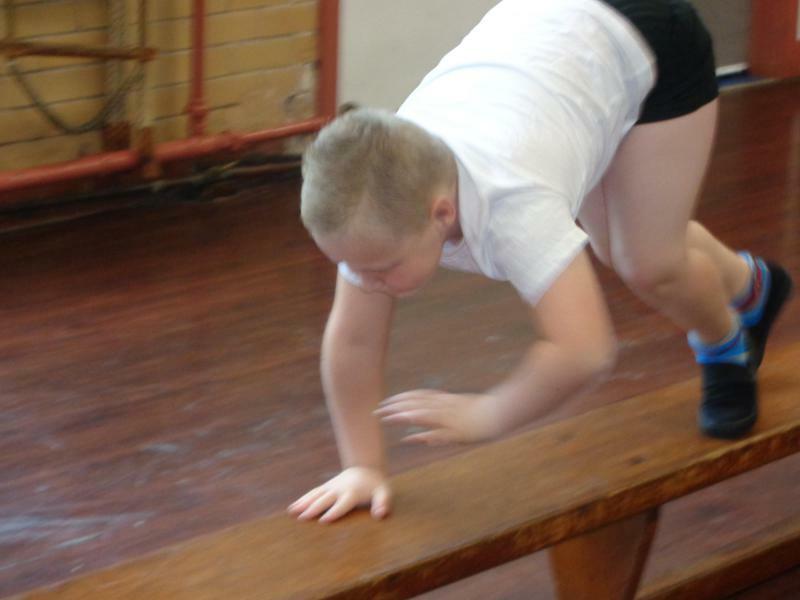 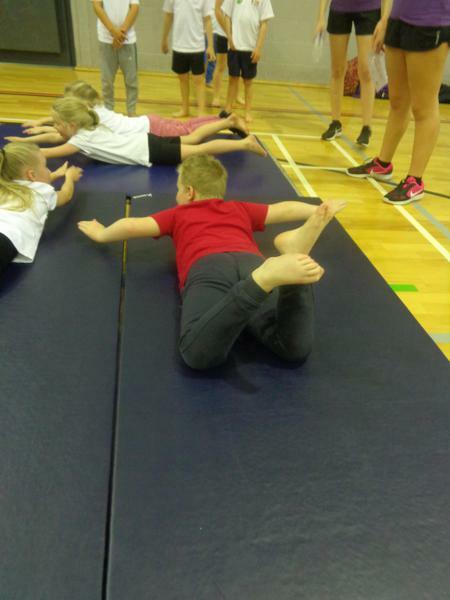 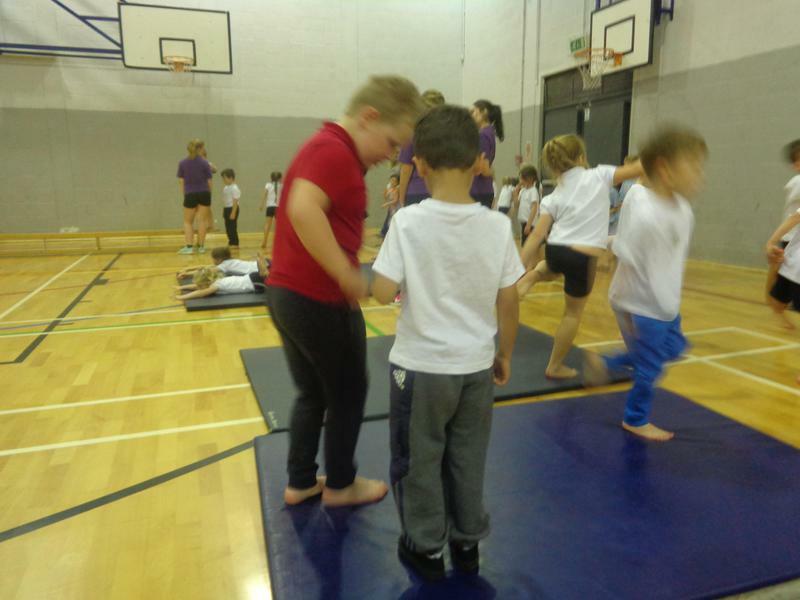 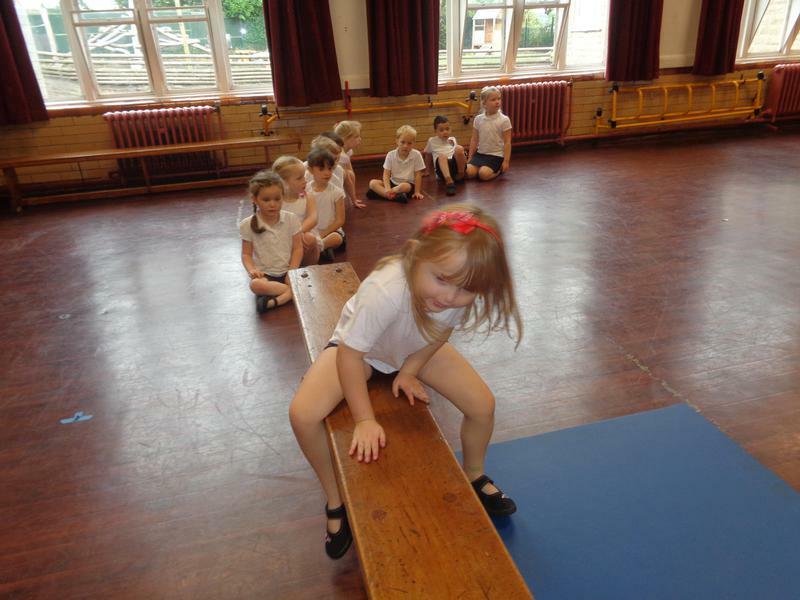 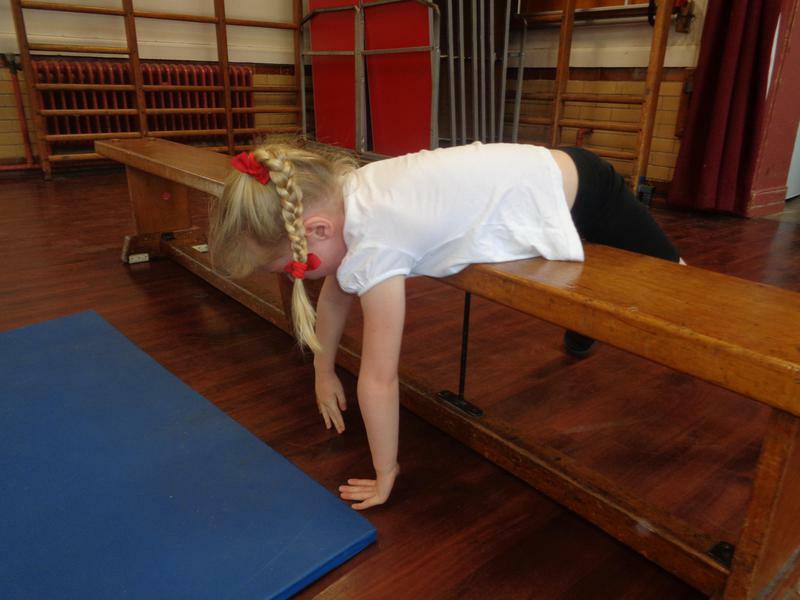 We took part in a gymnastics afternoon at Outwood Academy. 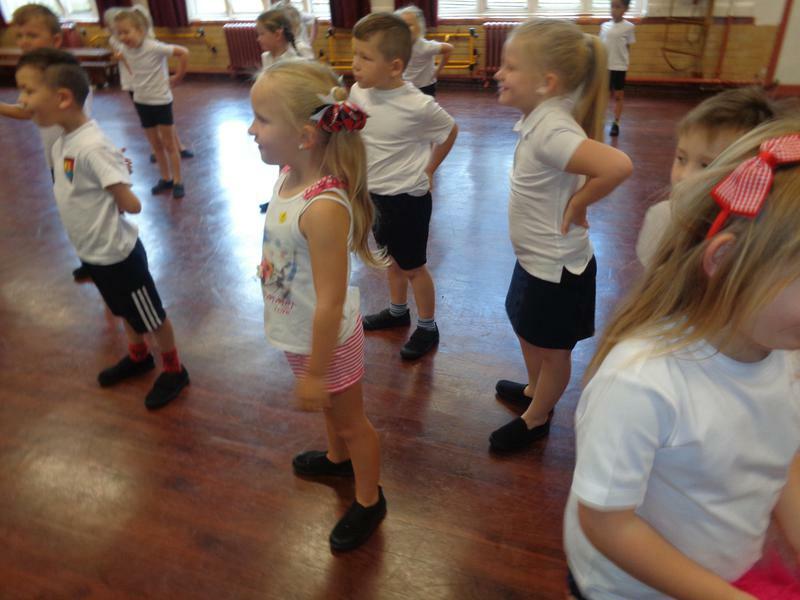 We had a wonderful time and learnt a lot! 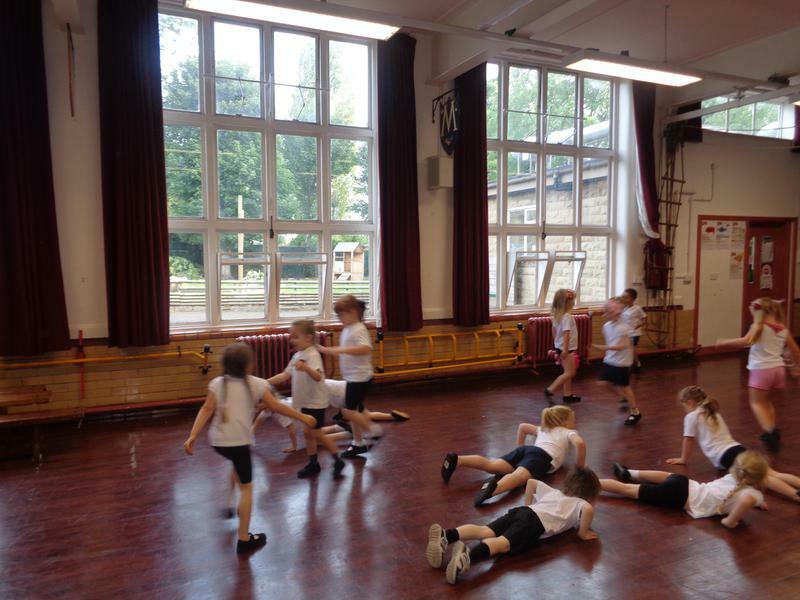 We have been covering striking and fielding in our PE lessons throughout Spring 2 and Summer 1. 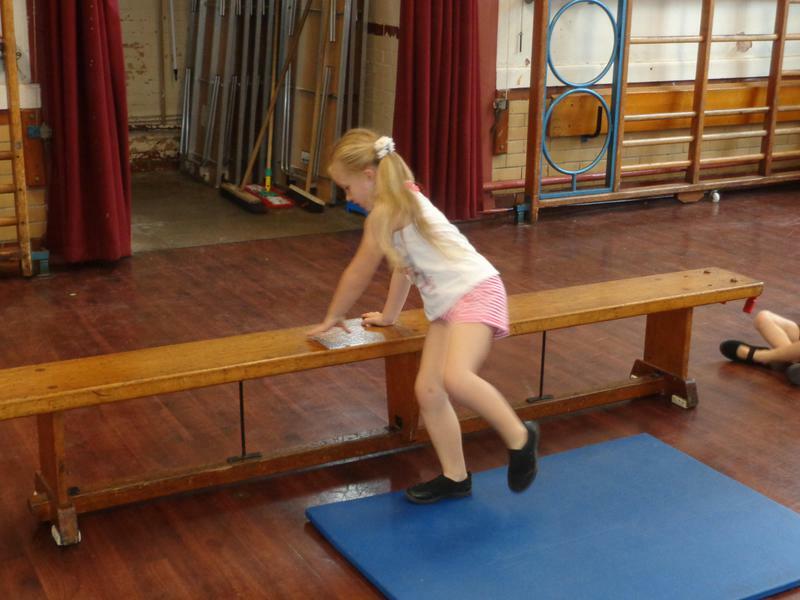 We have been working hard on our skills when working with equipment and developing our control. 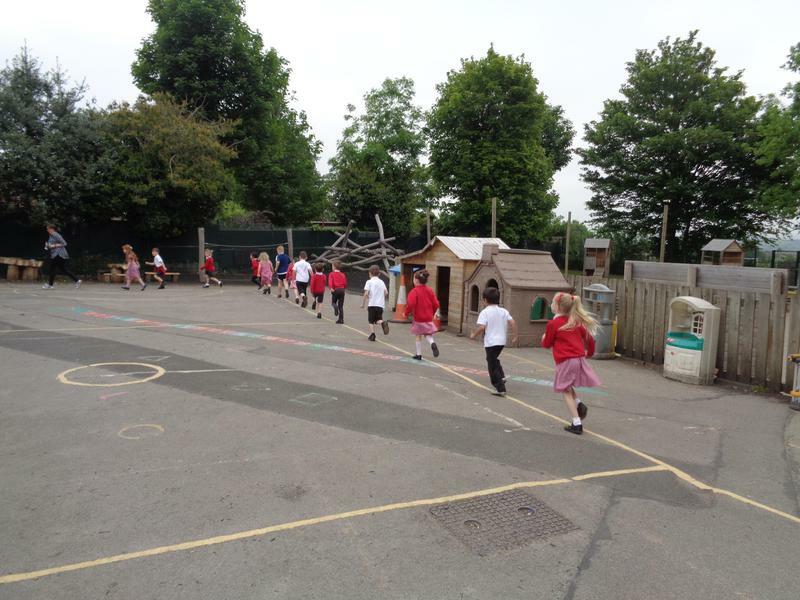 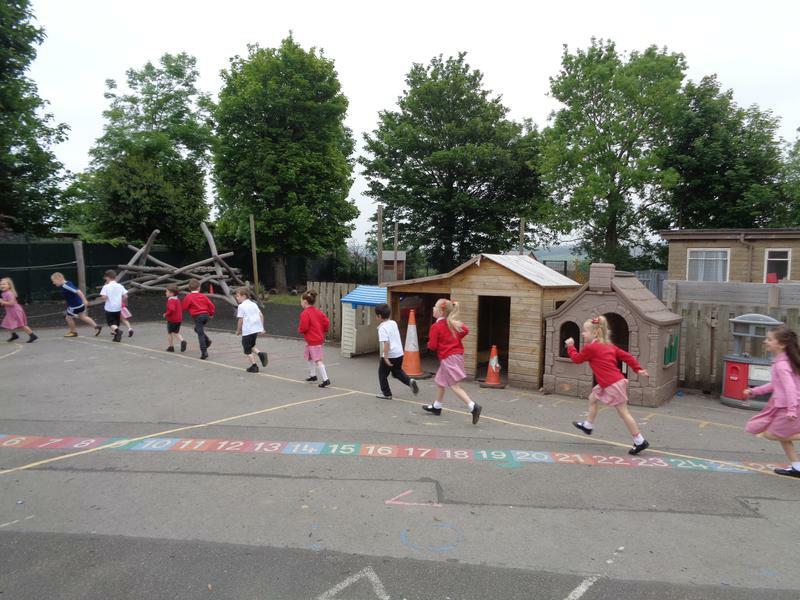 Year One ran a mile around our playground to raise money for and awareness of cancer charities. 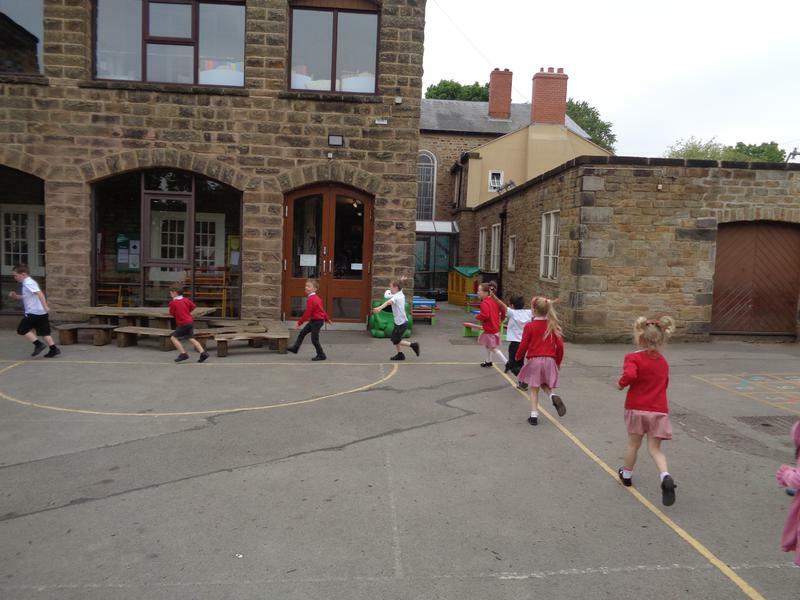 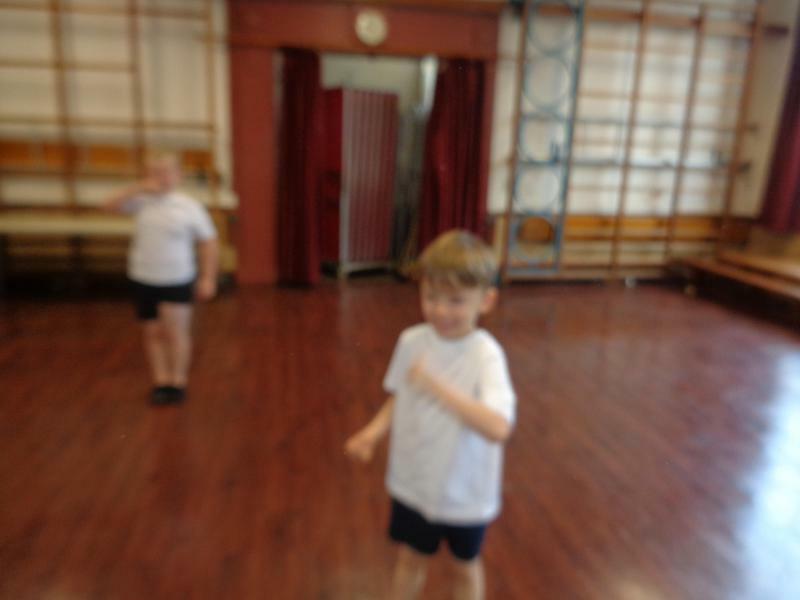 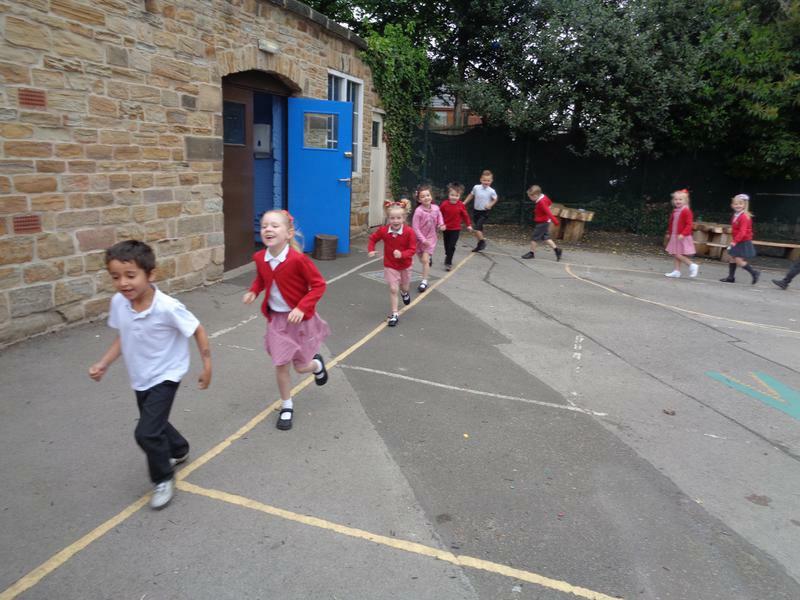 We found it tiring to run a mile but enjoyed ourselves so much that some children ran a mile again at break time! 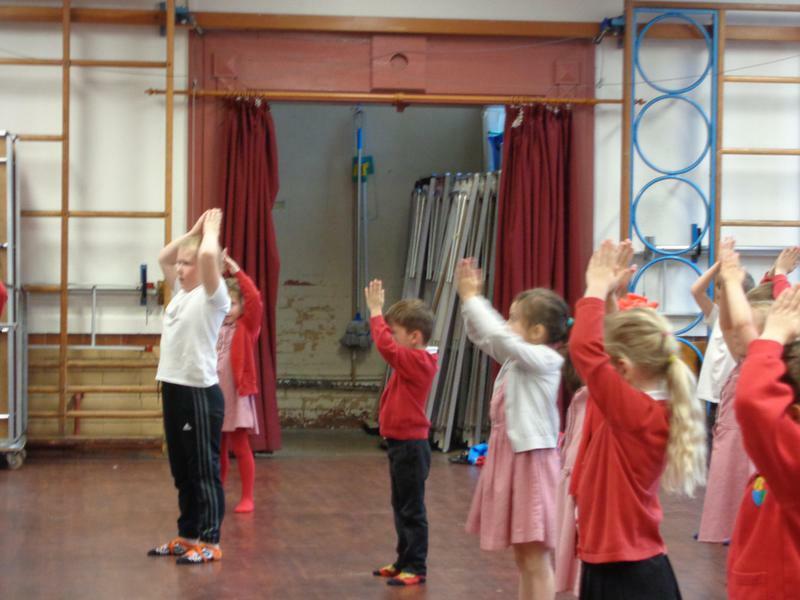 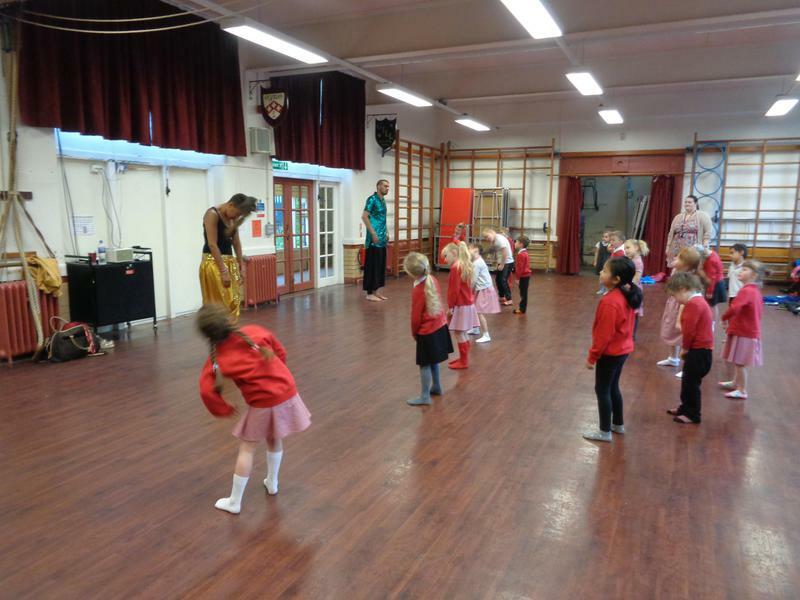 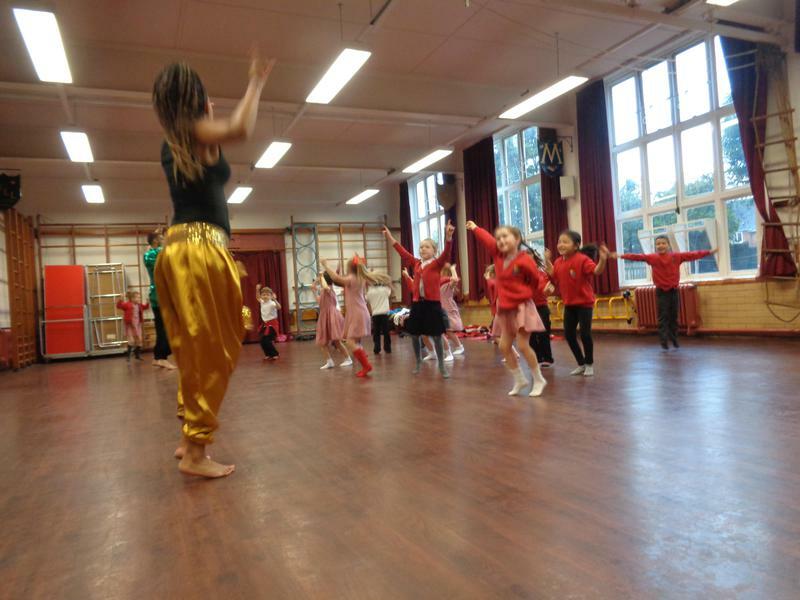 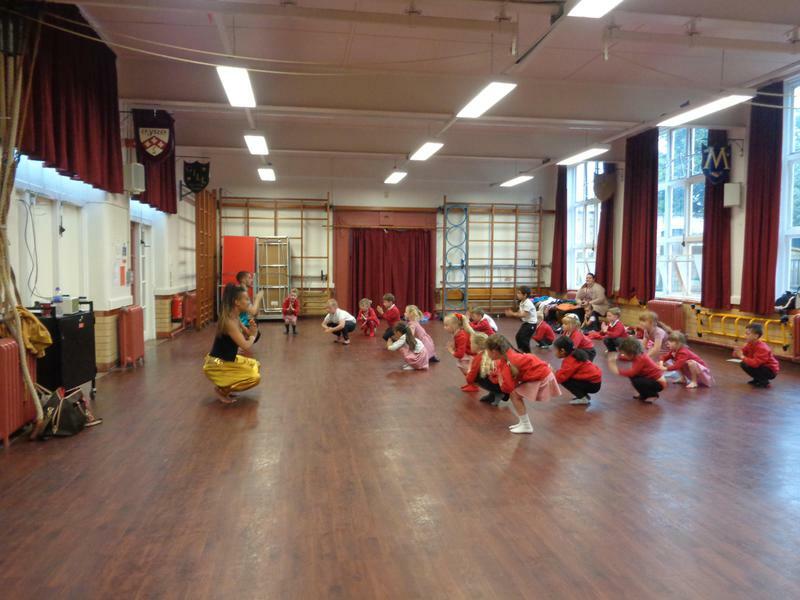 As part of India Day we took part in some Bollywood dancing. 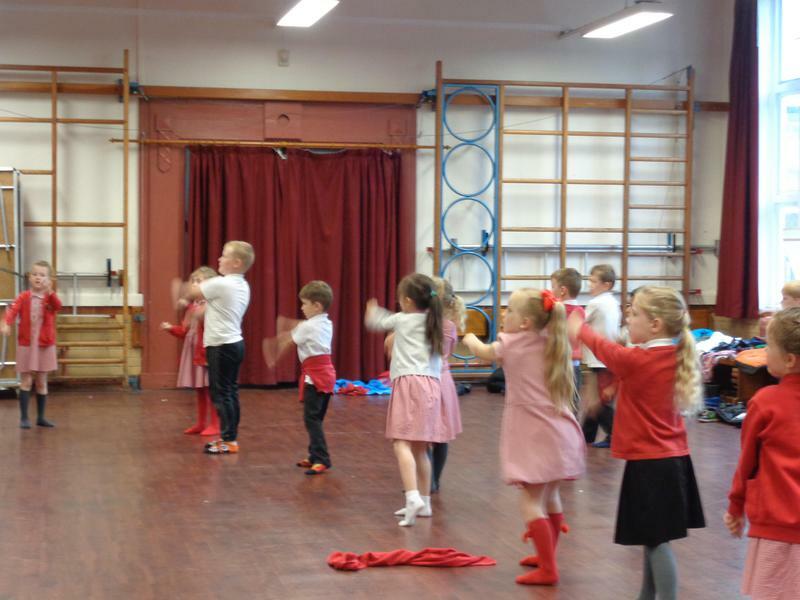 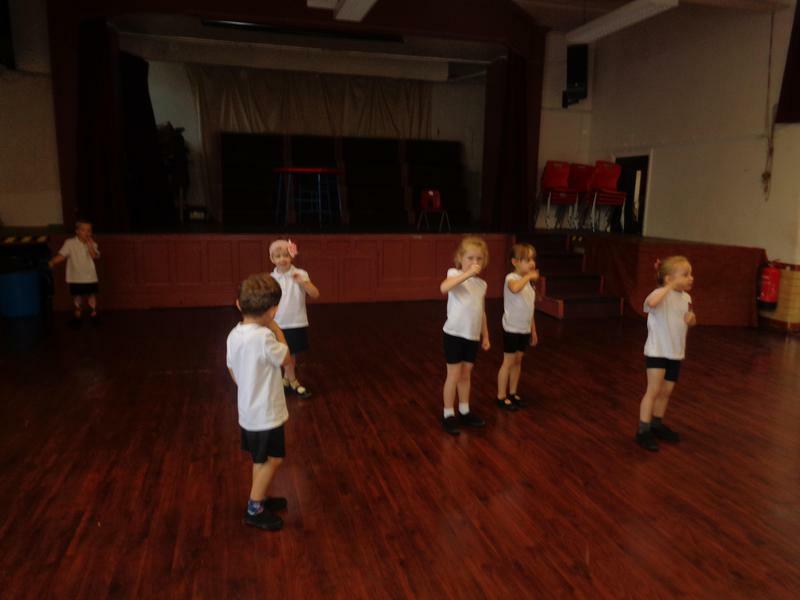 We loved learning all the different moves and put together a dance using the moves we had been taught!